- CSSH is a CSS history theft tool combining a crawler to enumerate the links you've visited on a site. 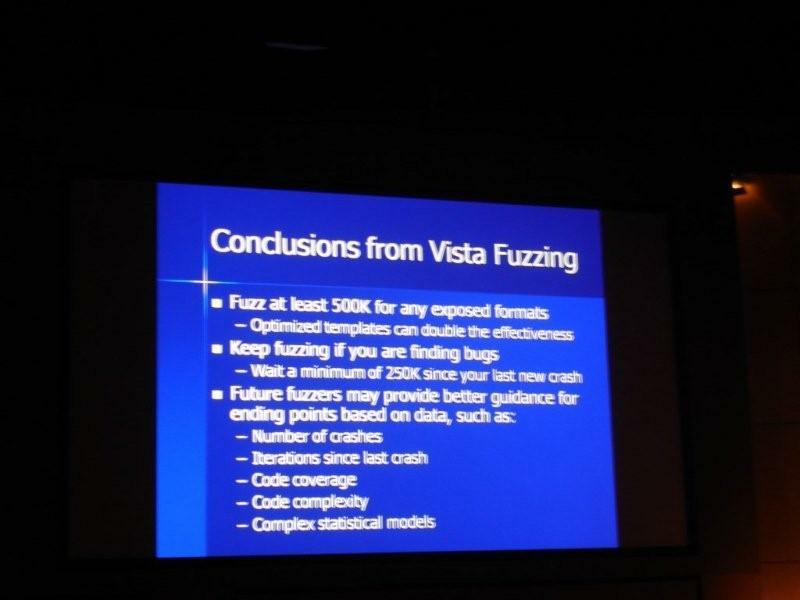 - The fuzzing talk 'Fuzzed Enough? When It’s OK to Put the Shears Down' was decent. It is amazing just how much time and effort Microsoft puts into fuzzing. - The Crimeware talk 'Crimeware Behind the Scenes' discussed how attackers are geolocating countries to attack. Not new, but rarely spoken about. 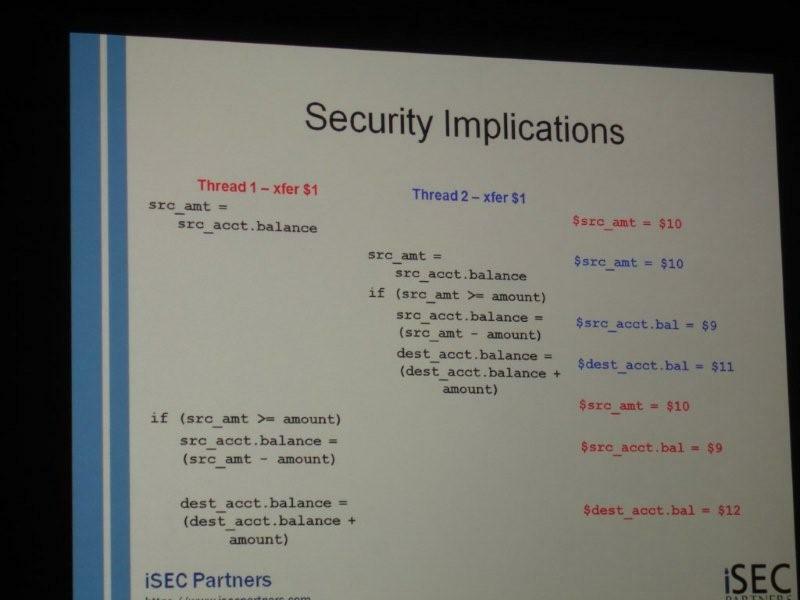 - The 'Concurrency Attacks on Web Applications' talk was good. This discussed race conditions in web applications and the impacts of multi-threaded web frameworks. - The 'WAF vs SDL shootout' panel was as expected. Everybody thought that WAF's were are over hyped and had little value. - The 'Investigating Individuals and Organizations Using Open Source Intelligence' talk was neat. A tool by Roelof Temmingh was demo'd showing how to identify associations between people and data sets. This tool is definitely something I'll be looking into. I'm not sure if the CSS Attribute Reader counts as a tool release, but it's more useful than CSSH IMO. Actually, I think CSSAR is pretty damn epic, but maybe that's just me. I'm 99% sure CSSH was the tool that identified the site you were on, then crawled that site and attempted CSS history theft enumeration on each url on the site. What is CSSAR? Maybe I goofed the name? Couldn't find it online anywhere unfortunately. That is the site I was looking for. http://eaea.sirdarckcat.net/cssh-mon/cssh-mon.php?z=www.slashdot.org is the tool I was speaking of.